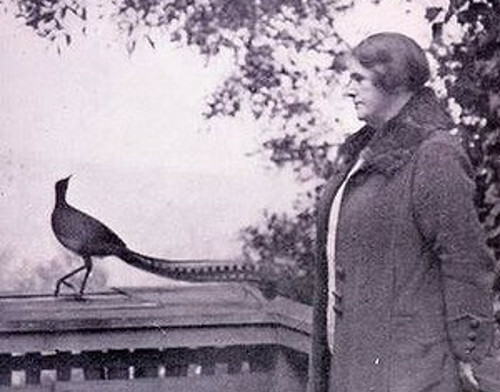 Almost nothing was known about Australia’s elusive lyrebird until 1930, when an elderly widow named Edith Wilkinson encountered one on her garden path one February morning. 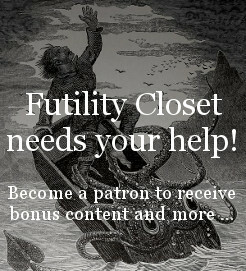 In this week’s episode of the Futility Closet podcast we’ll follow the curious friendship that evolved between Wilkinson and “James,” which led to an explosion of knowledge about his reclusive species. Ambrose Pratt, The Lore of the Lyrebird, 1933. Nicolae Sfetcu, The Birds’ World, 2014. Jackie Kerin, Lyrebird! a True Story, 2012. “A.P.”, “A Miracle of the Dandenongs,” The Age, Feb. 13, 1932. A response from a reader. Anna Verona Dorris, “The Proud Aristocrat of Birdland,” New Outlook, July-August 1956. More lyrebirds mimicking human technology on Futility Closet. “The Colorful Front-Gabled Italianate Homes at Damen and 33rd,” Chicago Patterns (accessed Jan. 1, 2016). John McCarron, “Pilsen Comes Together to Preserve and Build,” LISC Chicago’s New Communities Program, May 3, 2007 (accessed Jan. 1, 2016). Down to Earth: 9 Stories Above Pilsen (accessed Jan. 1, 2016). Wikipedia, “Regrading in Seattle” (accessed Jan. 1, 2016). 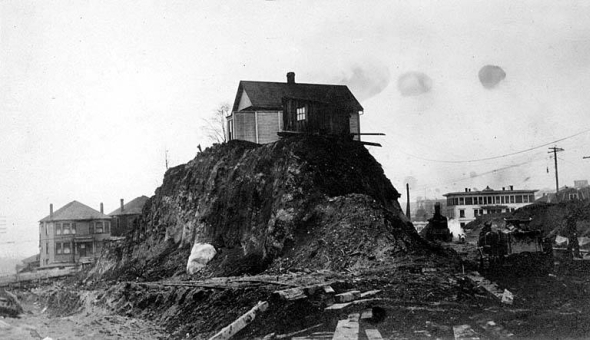 Matthew W. Klingle, “Reclaiming Nature: Flattening Hills and Digging Waterways in Seattle,” in Building Nature: Topics in the Environmental History of Seattle and Spokane: A Curriculum Project for Washington Schools, Center for the Study of the Pacific Northwest, University of Washington Department of History (accessed Jan. 1, 2016). This week’s lateral thinking puzzle is adapted from “Detective Shadow’s” 2000 book Lateral Mindtrap Puzzles. Here’s a corroborating link (don’t click until you’ve listened to the episode).